A fully motivated computer lover, scientific and experienced. Self learner and up-to-date to all the related subjects where I am involved with. Applied to organization, team worker and team builder. Great logical skills, methodological and mental dexterity for problem solving. Sharp logical sense. Investigative, curious and creative, driving me to search for gaps and unknown subjects on the daily activities, proposing solutions and / or providing better analysis if necessary. Windows since 1992 – As an advanced user only; from the very early versions, including, but not restricted to, Windows 95 / 98 / XP/ 2Ks / NT / 7 / 10 / 12 / 16 only few versions skipped, but have worked professionally and have observed security details in many different versions and subversions. High availability systems, clusters and dedicated grid systems. Roles: Sentia BV bought the Managed Services operatoins from Yenlo, so for the first couple of years, I was still performing the same role as I was performing at Yenlo BV, in many ways, we just changed from one company to another executing majorly the same operations to all the clients that came along. In addition to this, I started to perform also on the Infra team from Sentia where I am getting into one of the greatest cloud operations in the Netherlands. Currently building a monitoring platform, that consists in a Openstack filled with ElasticSearch clusters, Zabbix servers fail-overs with pacemaker, LBaaS, Percona XtraDB. Roles: Provide expertise on configuration and monitoring of Linux servers and infra-structure in a cloud environment. Zabbix, VMWare, Perl scripting, development of an Orabbix (Oracle monitor for Zabbix) substitute called Perobbix made in Perl. Responsible over monitoring of client networks and infra-structure providing also training to create a mindset on monitoring and best practices. Infra-Structure management and configuration including BIGIP (F5), Equallogic Storage, Juniper switches, other Juniper equipment, cisco and other brands firewalls including iptables and more. Networking problems detection and resolution, best practices and optimization. Investigation and analysis of several different types of problems. Development of High Availability environments. Build up of the whole backup environment using TL4000 and BackupExec (Symantec) and vRanger. Implementation and maintenance of all the necessary systems that builds up a network infra-structure involving a large range of software from anti-spam, IDS, monitoring, remote logging, ticketing systems, databases and so forth. Most recently developing a puppet environment. Roles: Development and Administration of monitoring and auditing systems engulfing servers Netware OES, Linux and Microsoft with Zabbix, Sentinel and Sentinel Log Manager – Application and Scripting development in Perl, PHP and Bash for a wide range of reasons including modules for Zabbix monitoring improvements – Package updating system with mirroring of packages from Novell and Dell for Yast and ZLM – Linux and Netware support specialist – Providing support for 2nd line analysts – Development of IP Addresses organization software – Laboratory with several different solutions from virtualization to virtualized bandwidth control to simulate high latency on remote branches – supporting all the IT teams to integrate open source systems with the available Dell hardware. TMF Consulting Brazil LTDA - System Engineer – 2007 to 2008. Roles: Local and regional network and infra-structure administration – South Central and North America support and engineering according to Amsterdam (central) standards, helping on the installation and configuration of new offices in the region – Systems Specialist – PBX Administration – Development of SCNA Nagios monitoring system. Lintec Informatica LTDA - Systems Engineer – 2006 to 2007. Roles: Linux and Netware specialist, providing solution and consulting in a wide variety of clients and company sizes – several different distributions – Networking problems – Troubleshooting and regular problem solving environment. Self-Employed - Systems Developer – Freelance, 2003 to 2006. Role: Project Developer of commercial art gallery administration system in Perl, AJAX , MySQL – Consultant: Linux / Networking / Programming. GEO do Brasil - Systems Developer – Linux / Security Consultant – Team Leader on Linux – From 2001 to 2003. Roles: Development of an automatized firewall from IPChains / IPTables as a product with VPN capabilities using IPSwan (what later became FreeSwan) based on open source software, with a basic Linux distribution – installation and support of several different types of Linux servers for different purposes (Routers, Firewall and Mailing systems mainly) – Overseeing, managing and teaching a group of professional programmers and trainees, coordinating development and teaching newcomers to Linux into basic tasks. Roles: Software development in Dataflex for the Brazilian paper sector, network and IT supporting role for several companies around Sao Paulo area in the the first year – Between 1996 and 1998 helped into building up a Internet Service Provider (Planet House BBS) with a BBS system called WorldGroup Galacticomm, based in Netware and Linux systems as well, dealing with RAS, Multi Protocol Routers and a diverse hardware and software systems involving a ISP – Among other things we did the development of one of the first gateways from Mail to Fax or Pager from São Paulo area. Roles: Maintaining a small network starting with 3 computers and expanding to 7 computers – upgrading systems – migrating networking systems from Lantastic to Netware 3.12 – payroll and accountant systems operator and responsible for its maintenance. Want to know a bit more about my experience? Here is some relevant information about my history and how I got around to learn what I know by my self (including English as a second language). 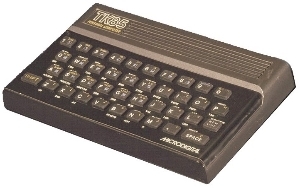 I have started with computers when I was around 8 years old as a certain uncle gave me a computer which he was not using anymore and like that, I started on my first computer experience using a TK85 micro computer. Basically I started up learning a little bit of BASIC, to create "flying lines", in small programs that could only run only while in RAM, so everything needed to be coded at the moment of execution. It was good to have a sense of what a computer was. From this experience I was already capable of understanding very basic concepts of computers, connection of devices, Input/Output and so forth. 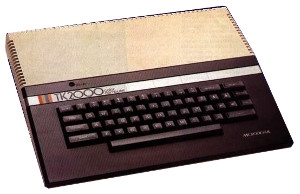 After my uncle gave up on his next computer in line, the TK2000, he already knew what to do with it. Give to ME! Now I had a color computer, where I could create even more complex and colored "flying lines" and now I could get to save them in K7 tapes! UHU! Well after a while I started to get tired of the flying lines and then I started developeing problems of basic arithmetics, things like calculating how many days have you been living so far and such calculations from a date of birth, in programs I used to call Bidu, sort of playful ways to trick people with mathematical calculations. The same uncle, who had a couple of small businesses and at some point hired me as a general helper / assistant. 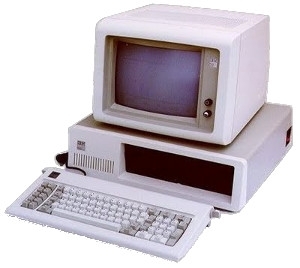 Right before I got started there, he had bought a PC XT 8088 and didn't really had done much on it. I got him really brand new, if I were there a few days earlier, I would help him to unbox it. From there, I had to get acquainted with MS-DOS and other few programs that were around. And In no time, I found my self understanding booting, formating and doing several different things on that computer, including some batch programming. My father at that point was already an "old" programmer on mainframes and somewhat incluenced me to get into Dataflex. When I did the Dataflex traning in Sao Paulo, I was the yougest person in the room and obviously quite mocked at. But I was there developing meta linguagem to create internal commands for Dataflex language and no one understood how I could be doing that at that age. 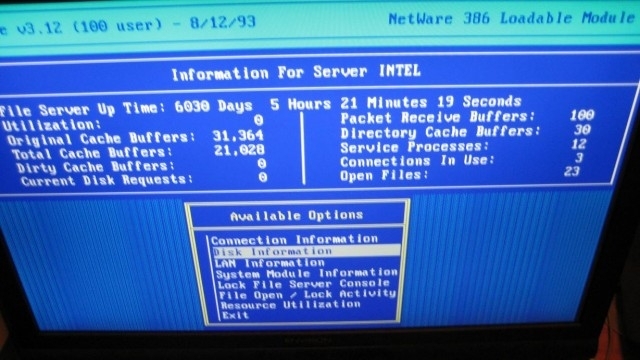 Time has passed a while and I was already getting around 286, 386 and 486 computers. Had quite a good experience in installing, completely assembling it, formatting MFM-RLL disks and so forth. A few MS DOS versions also had passed. Then came Junior, a very good friend of mine, who once brought in several installation disks for Novell Netware 3.12 then went on explaining basics on networking / ethernet functionalities, configurations, IPX, clients and so on, as such that, back then I was capable of assembling a Coax 50 OHMs network or a RJ45 network later. With that crash course, I was able to get my head much better around other systems like Lantastic, Novell DOS-Set and several different networking ideas that before were quite murky. In my opinion, Novell Netware in its 3.12 flavor is one of the best softwares I have ever worked with, only losing for Linux because the hardware also have evolved. Nowadays we can talk about Linux in a similar level, but Netware is something that really had left its very strong mark on the market. As such, you can find articles like this one: Epic uptime achievement unlocked. Can you beat 16 years? These experiences, and a few others, lead up to and during my first real job at Wilson Paschoal, which you can already see depicted in my regular (or complete version) curriculum.